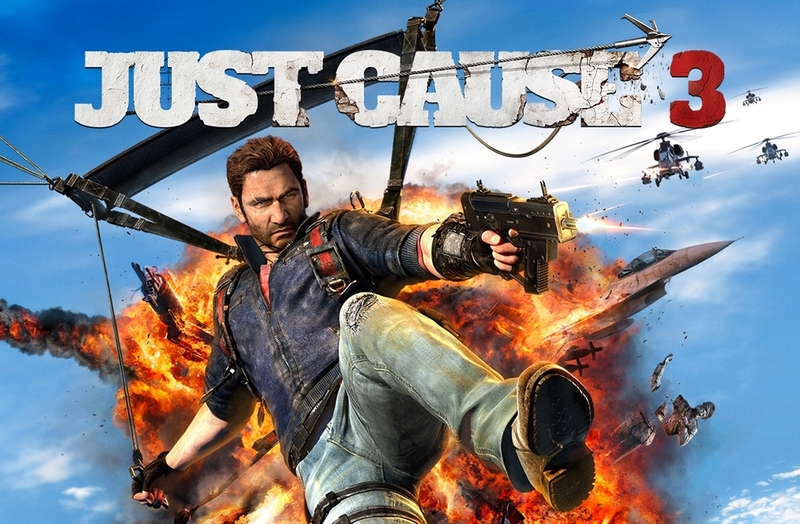 Just released today is Just Cause 3, Avalanche Studio's AAA title game. It's available for XBox One, Playstation 4, and PC (Steam). I was hired to field record various "things". Go out and buy a copy Today! Just Cause 3 video game is available for XBox One, Playstation 4, and PC. 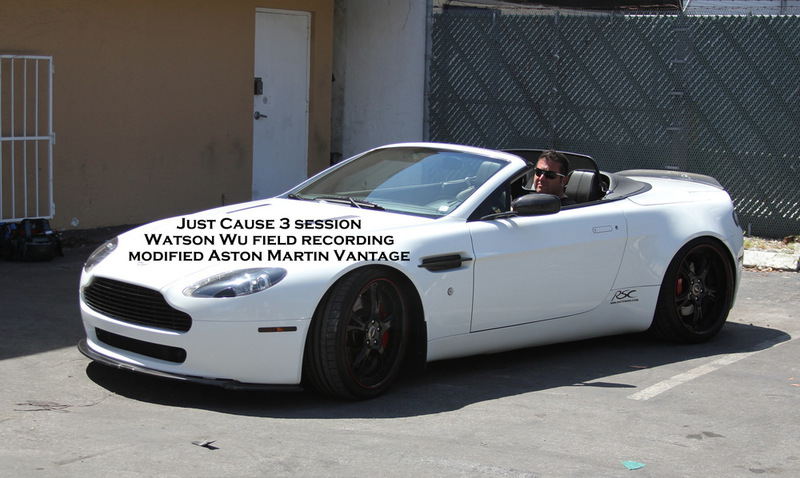 Field recording a very modified Aston Martin Vantage British sports car with owner/driver Hershel. This Beast is FAST and Sounds Great! 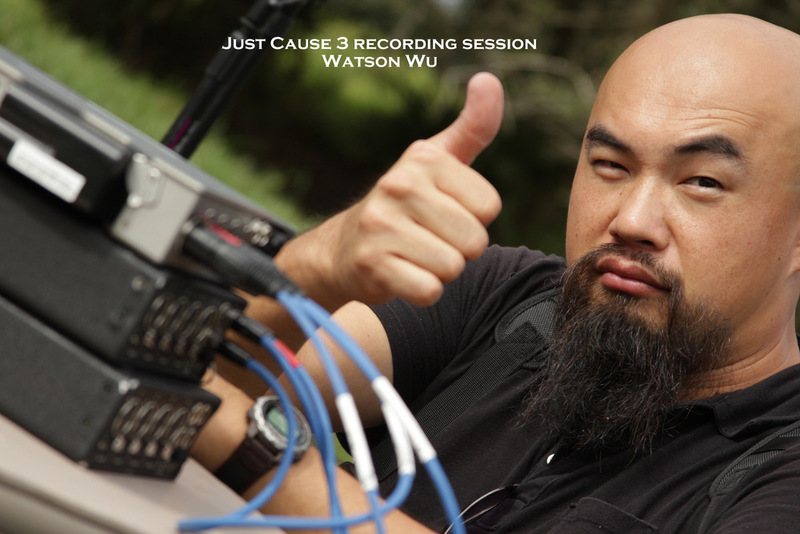 Watson Wu Field Recording a modified Aston Martin Vantage with owner/driver Hershel. 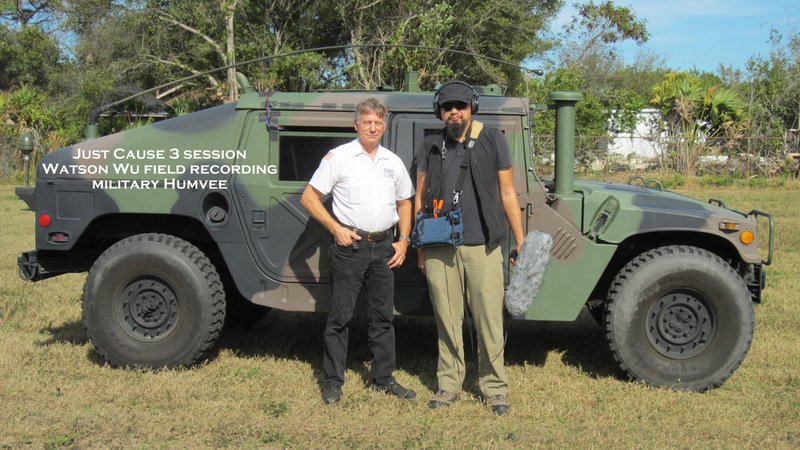 Field recording a Humvee with owner/driver Wayne. 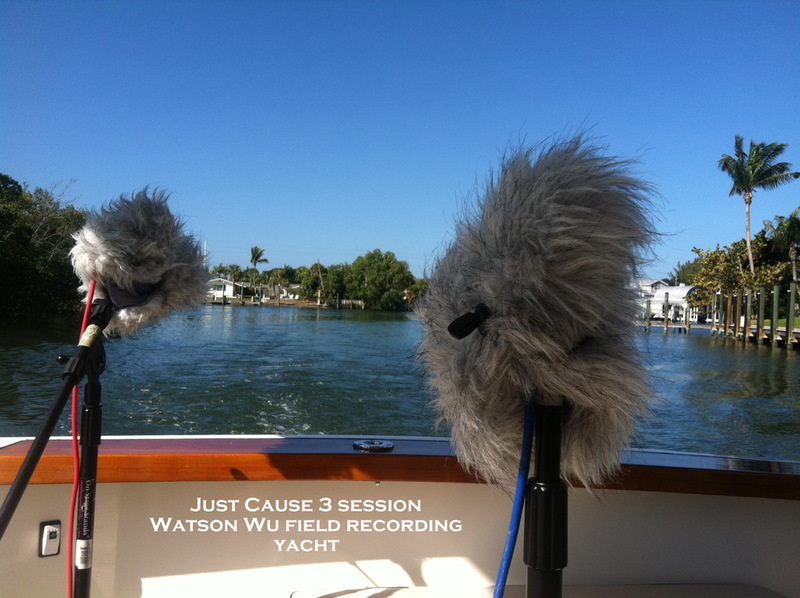 Field recording a large yacht. A total of 7 mics were used to capture sounds from the engine room etc areas. These rear mics were used to capture water churning sounds. 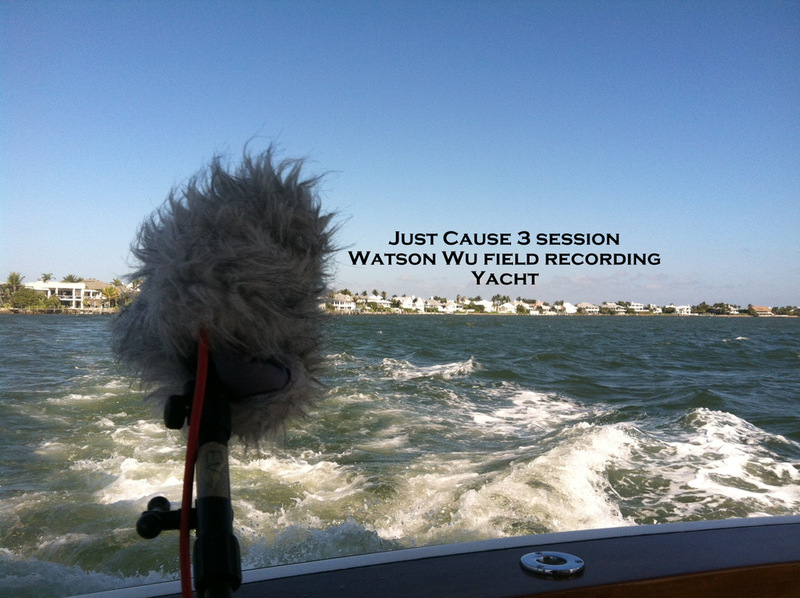 Field recording a yacht. This was the hardest session I have ever conducted. I got sea sick and was throwing up on the side of the ship. I've never been sick from being on a ship but I guess the diesel fumes and the swaying got to me. For the love of field recording, I kept going! The only thing that worried me was that my puking sounds may have ruined the recordings. Fortunately, during playback, I couldn't hear those unwanted nasty sounds. 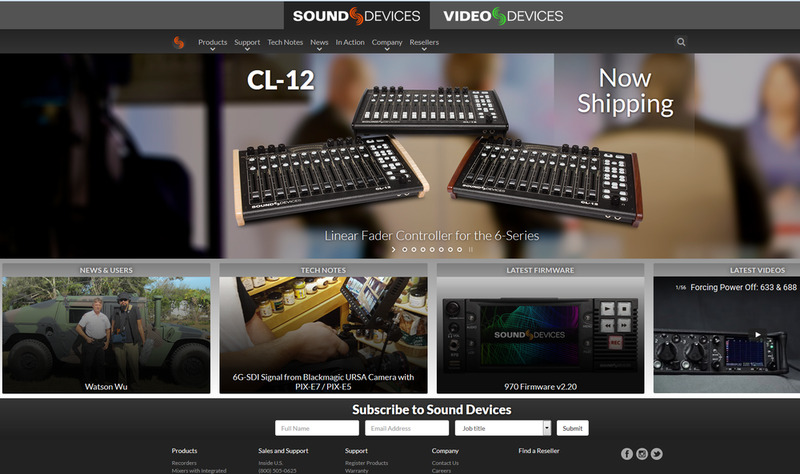 Field Recording Gear: Sound Devices 788T-SSD 8 track recorder, two 442 field mixers, and Remote Audio super headphones. The Rode Dead Wombat (fur) was used as protection from light rain. Go out and buy a copy Today!